Valentine's Day is all about spreading the love to people around you with chocolates, fancy dinners, and romantic gifts. A day dedicated to love shouldn’t be limited to just the people we love, right? At InMotion - America’s favorite travel accessories store, we understand that you are in a long term relationship with your tech - you spend your days and nights with your devices as your lifelines, stay connected to friends and family with them, and enjoy your favorite music through the headphones and speakers you love. So why not take a day to treat yourself and celebrate your love for your tech? Here we’ve broken down the best tech that you’ll absolutely adore for sharing music with your significant other, getting the singles-only party started, or taking your love of music to the next level. There's nothing more picture-perfect than movie scenes depicting lovers sweetly sharing a single pair of earbuds to listen to a song. But let's get real -- you don't want to compromise full, quality sound if you don't have to. Never again will you and a friend share one pair of headphones with the iLuv i111 HP Splitter with Volume Control. 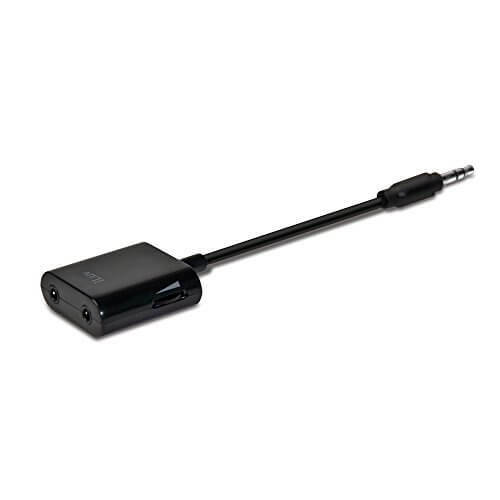 The iLuv i111 HP Splitter with Volume Control connects to a standard 3.5mm auxiliary input and make it possible to plug two sets of headphones in to the same device. Now, when sharing music with a loved one, you can each have both ear pieces rather than one and never have to sacrifice the sound quality you love. Best of all, each input has its own volume control so you can each control how loud you want to listen to music -- the perfect way to maintain a couple’s music listening harmony. Nothing sets the mood for a romantic Valentine’s Day quite like the perfect music. Queue up your favorite tunes with the JBL Flip 4 Portable Bluetooth Speaker. Coming in an enticing shade of red, this speaker is the perfect Valentine’s Day gift or accessory for someone who loves bringing their music with them. With the ability to sync more than 100 speakers together, you can fill your home with the music you love or get the singles-only party pumping effortlessly. 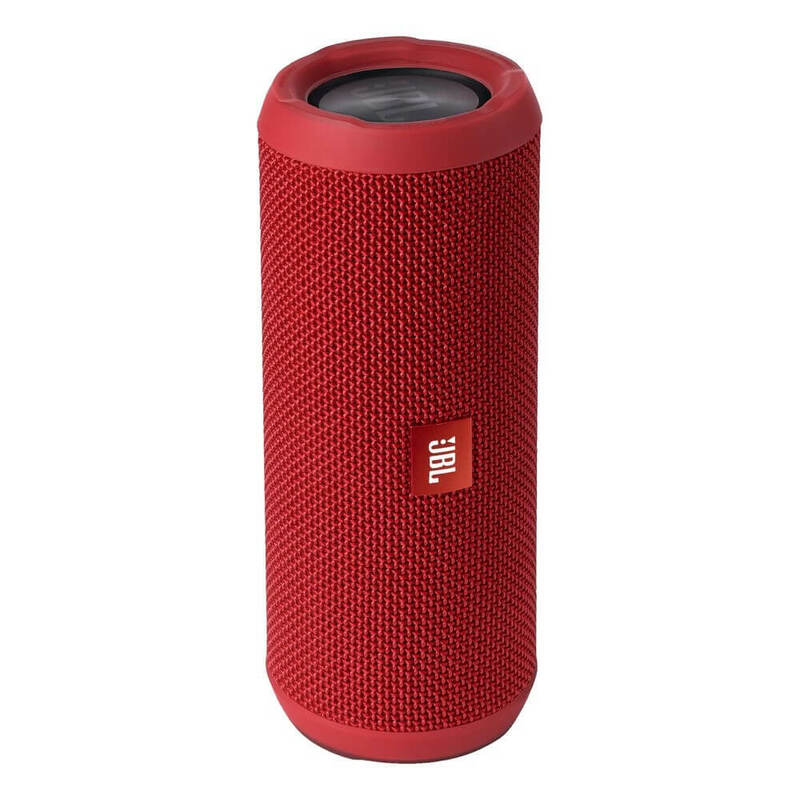 Created with rugged rubber, durable fabric, and IPX7 waterproof technology, the JBL Flip 4 Portable Bluetooth Speaker makes all your dates and adventures a little more musical. With the ability to connect two devices at once, you and your lover can take turns alternating between your favorite songs. Featuring 12 hours of playtime on a single charge and the ability to charge your device while in use, the JBL Flip 4 Portable Bluetooth Speaker has the stamina to last through all the Valentine’s Day festivities. We’ve all experienced phone charging cables that bend, break, and leave us hanging worse than an ex-significant other. After a bad breakup with a lightning cable, it’s time to upgrade to the 360 Electrical Habitat 4ft Braided Lightning Cable. The 360 Electrical Habitat 4ft Braided Lightning Cable is fifteen times stronger than a standard lightning cable and can withstand more than 50,000 bends without breaking. 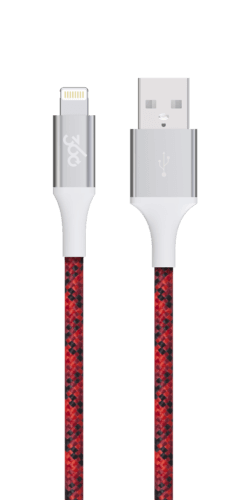 Designed with reinforced strain relief and an extruding aluminum sleeve, it provides dependability you can trust in a festive red braided cable. But the 360 Electrical Habitat 4ft Braided Lightning Cable doesn’t stop there; a durable inner lining reinforced with kevlar - the same material used in bulletproof vests - makes sure your new favorite lighting cable won’t leave you hanging after a few weeks of usage. At InMotion, we’re dedicated to bringing you headphones that - you will absolutely love. What better time to find the love of your (listening) life than Valentine’s Day? 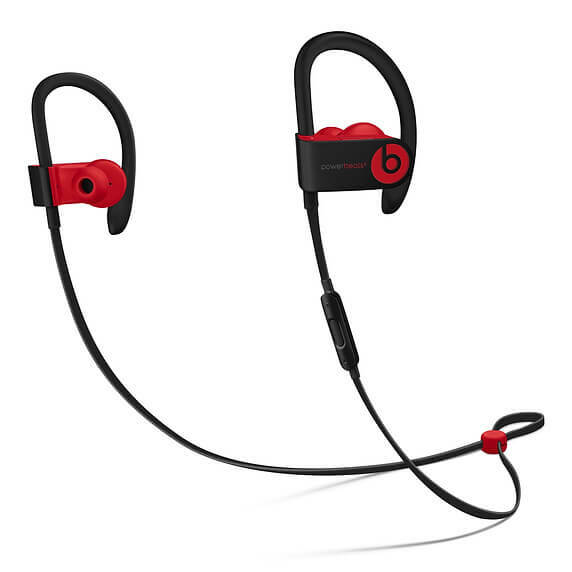 For music lovers, we recommend the Beats by Dre Powerbeats Wireless Earphones. These tiny, powerful headphones are sweat and water resistant while staying super secure so you never have to miss out on your favorite tunes when on the go, exercising, or working. This versatility doesn’t come at the expense of luxurious sound, either; the Beats by Dre Powerbeats Wireless Earphones deliver crisp, dynamic highs and powerful lows. Keep the musical bliss going for hours with 12 hours of battery life on a single charge and rapid charging for when you’re in a pinch. With a built-in Apple W1 chip for strong connectivity and seamless switching between Apple devices, the Beats by Dre Powerbeats Wireless Earphones are always there to provide you with love and support when you need them. In some ways, we’re all in a long term relationship with our favorite tech. As some of the most integral portions of our everyday lives, we owe it to ourselves to gear up with tech we adore. But Investing in the perfect pair of headphones or a long-lasting lightning cable can feel like a huge commitment. That’s why InMotion works tirelessly - providing free demos and expert advice to shoppers - to help you find the technology that you’ll love 365 days a year, making us the best travel accessories store for all your tech needs.